Lewis never gave up. He started his 17th term this month. John Lewis likes to remind supporters to never give up. In January 1977, after President Jimmy Carter appointed then U.S. Rep. Andrew Young to be ambassador to the United Nations, Lewis, previously the head of a nonprofit that registered black voters, joined a dozen candidates vying to replace Young, including Ralph David Abernathy. Backed by his beloved wife and “chief adviser,” Lillian, Lewis took a page from Young’s playbook and spent two-thirds of his time knocking on doors in black neighborhoods and the rest passing out leaflets in predominantly white communities in northeast Atlanta. One woman at a shopping mall in the area told Lewis’s campaign aide that she wouldn’t vote for him because he “registered all those n****rs.” Come election night, Lewis lost to fellow Democrat Wyche Fowler by 24 percentage points in a race that fell largely on racial lines. 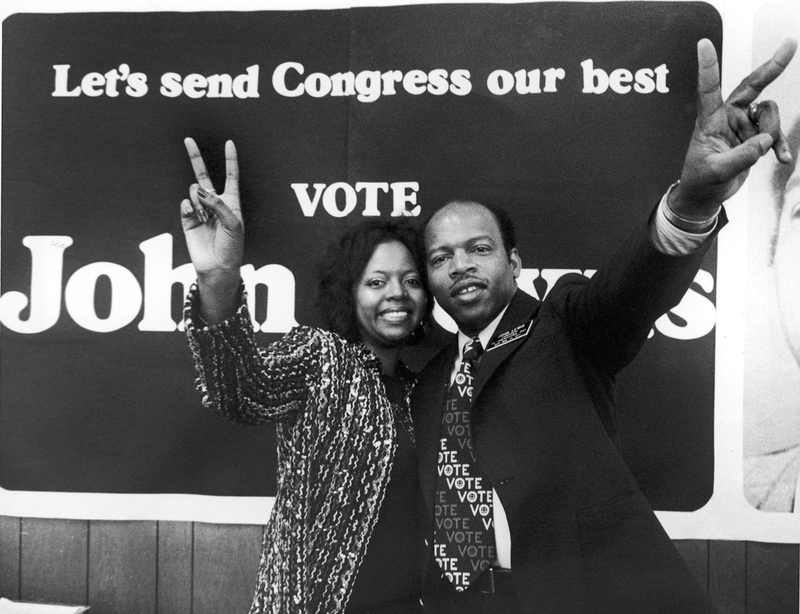 “Two months ago, nobody knew who John Lewis was,” Lewis recalled telling his supporters after acknowledging his defeat, with Lillian, who died in 2012, and Coretta Scott King by his side. “This is only the beginning.” Elected to the House in 1986, Lewis began his 17th term in January.